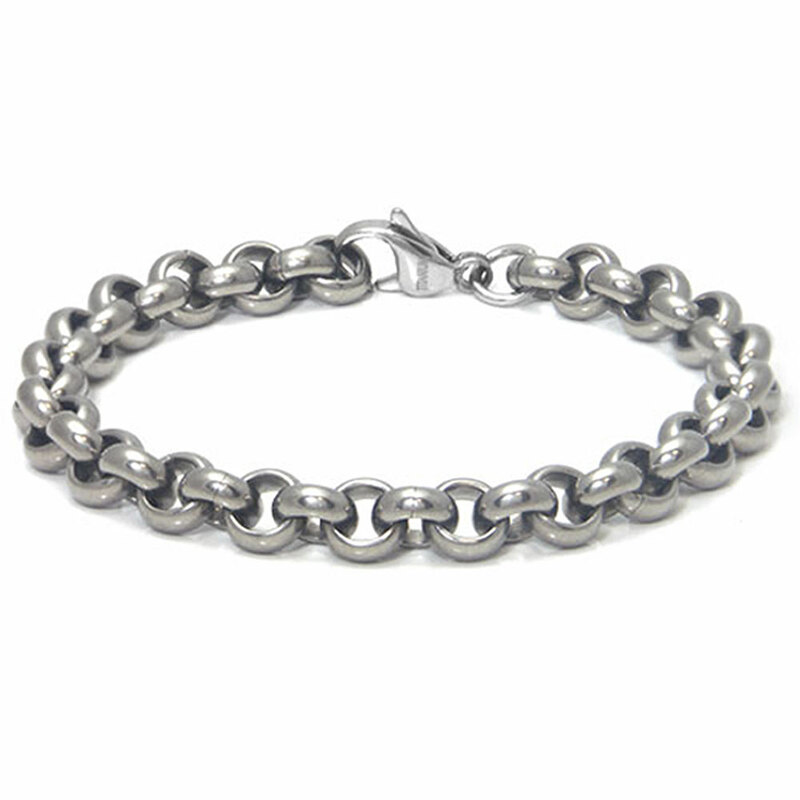 Our titanium 6mm polo link bracelet is a unique design for titanium jewelry that will accessorize most fashion styles. Created from high polish grey color titanium which is 6 millimeter wide, and is available in a variety of lengths. The polo link design gives the bracelet a very expensive look yet the longest bracelet is less than $100.00 which is affordable for any budget. 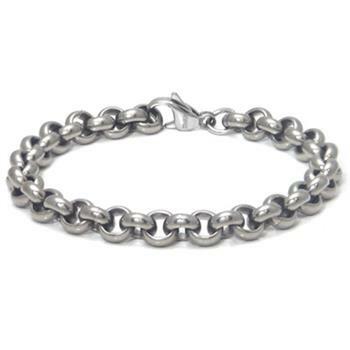 The titanium 6mm polo link bracelet is a low cost, high quality bracelet that will last for decades more than the bracelets made of precious metals silver and gold. Titanium is twice as strong and steel while weighing 50 percent less. it will not bend, twist, or misshape. Titanium is also scratch resistant so it will withstand most normal wear very well. Love their Ti jewelry. So light and silky smooth. Ugly don't even know you have it on. This Bracelet is a great one for a Man I have more than one looks great together for a bolder look . I both this Bracelet It is perfect for a Mens Bracelet. I have both more than just one and they go great together. I would buy this one if you are looking at Bracelets. Love this Bracelet have had alot of people say how they like it alot , Because it has a different look from others .